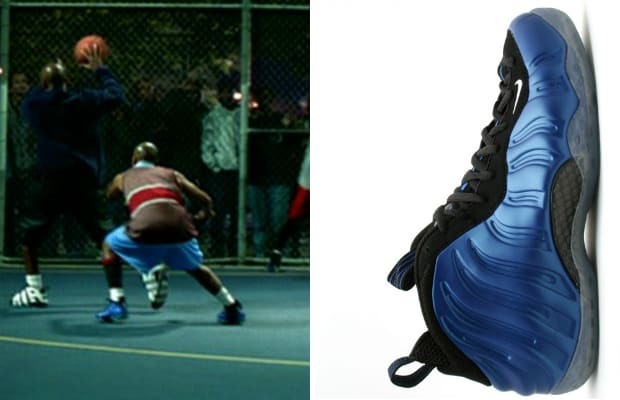 Nike Air Foamposite One "Royal"
Complex says: Booger is the de facto point god of the Lincoln squad and also Jesus' little cousin. In the pickup game we learn dude is slacking a little on D but his kick game is proper. At the time nothin' was really messin' with the Foams or the Rail Splitters. Nice to see Spike incorporate such a classic into the film. As proved last year, even 14 years later there was mad demand for these. Not so much for the sleeveless rugby tho.